The wonderful Bill Kennedy posted this tribute to David on Facebook last year under the title "A Death In The Family." I am grateful to be able to post it here as well. Scowling at the now empty stage, the man sat two thirds of the way back, as the audience, laughing and chatting, left for the lobby. It was the end of Act I of the preview of the comedy Jitters at the Soulpepper Theatre in Toronto. I watched the man, concentrating on the stage as though the actors were still there. In his mind they were. This was the man who had woven together his own experience as actor and playwright and had run this play through his mind a thousand times as he revised and revised, boiling it down to its essence. This was David French. I walked over to the row he was seated in and sat down a respectful distance away, not wanting to disturb his train of thought. I had met David through an introduction to dramatic writing course given by his partner, Glenda MacFarlane and I had emailed them a couple of times. After a while he acknowledged my presence. "There's a lot of work to do yet," was all he said. This despite all of the laughter that had just come from the full house. David was like that: intense, passionate, uncompromising, as much a rock as the place where he had been born. When he visited our class, we all talked about our current projects. When I described mine, he said, "A novel maybe, not a play." He was right. That comment made me start over from scratch, because after listening to him, all I wanted to do was write a play. David's approach was classical theatre: a single protagonist with an all-consuming desire, facing overwhelming conflict and equipped with only their intelligence and feelings. Salt-Water Moon features two actors on one set in one evening. "The challenge," he explained, "was that this story took place before my previous play, so the audience already knew the ending." Yet, even knowing not just the ending, but also the whole play, I was still riveted to my seat. I took my family to see it at Soulpepper. With two teenagers, it can be difficult to find something that engages all of us. This play was an exception. The conversation all the way home centered around the play and the two characters. You can picture yourself in a French play. Whether you see yourself as the parent or the child, the young lover or the frustrated patriarch, he spoke to all of us. Each character is presented with understanding and compassion, true to all of the frailties and strengths of the human condition. You can't leave one of David's plays untouched by the experience. We will miss him. 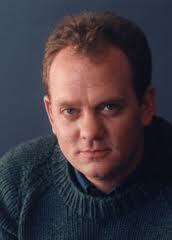 Recently I had some correspondence with playwright David Gow. In one of his emails, he mentioned meeting David. He's kindly given me permission to quote the email here: I was sorry to hear of your David's passing. I was an admirer of his for some time and he had kind words for me once, having seen something of mine, very kind and encouraging words, which meant a lot to me. In a way it was a humbling moment. "Here is a great writer..." I thought, "who is telling my work is good". Like the jerk of an elevator, I felt lifted and sobered one moment to the next, and remember the twinkle in his eye and humour which said in effect "we're on the same ride". A blinking moment, drinking in another man's appraisal of my chops, a man whose writing I thought was above all the other writing for the stage- that I had heard under our flag, and great writing by any flag. David was born the same year as my father, and essentially, yet young by today's standards. Great that he achieved so much and broke so much ground for so many of us to follow planting in. The only two books in the house when David was growing up were the Bible and the Book of Common Prayer. He used to read the Bible aloud to his Granny French, who was losing her sight -- David said she was particularly fond of "The Song of Solomon." David often spoke about the beauty of the poetry in the King James version, and you can see the influence of it on his own work. He discovered fiction when he was in Grade Eight. Before then he’d been far more interested in sports than literature, but one day when he was acting up in class, his exasperated teacher told him to go get a book and to sit down and read it. David happened to pull Mark Twain’s The Adventures of Tom Sawyer from the shelf…and he was hooked; he loved Twain from that moment forward. A couple of weeks ago I noticed that we have two huge Twain compendiums on our bookshelves! I’m sorry David never got a chance to read the recently released Twain autobiography, which I’m sure he would have been very interested in. 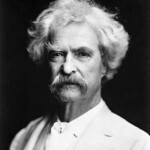 Reading Twain really did change his life -- he said that before he'd even finished Tom Sawyer, not only did he know he wanted to be a writer, he knew that he was one. 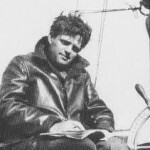 David’s next big literary influence was Jack London. After reading his way through London’s adventure novels, David decided to head out on an adventure of his own. He and a friend hitchhiked to Vancouver, hoping to get work on a tramp steamer. David was seventeen at the time! Unfortunately (or fortunately,) the only job he could manage to land was working on one of the local ferries – and that came to an abrupt end when authorities discovered he’d lied about his age. He made it back home to Toronto in time for school in the fall. 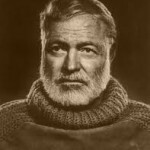 In his 20s, David idolized Hemingway. He finally did make a sea voyage, and spent a month in Paris, where he lived on one meal a day (breakfast, which was included with his accommodation,) and retraced the steps of Hemingway and other “Lost Generation” writers like Fitzgerald, Callaghan, and John Glassco. 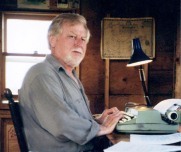 As a young man David wrote a novel that was much influenced by Hemingway. It’s never been published, but it’s a wonderful bildungsroman about a group of friends who travel from Toronto to Carnaval in Quebec City. David read plays and books about playwrights, including everything he could get his hands on about Shakespeare’s life and work. When he talked to playwriting students David would ask them which playwrights they admired -- and he was frequently irritated when they couldn’t come up with more than one or two names. He used to say that reading good plays was one of the best ways to learn how to write them. Sometimes David would take a break from working and walk to Theatrebooks to buy whatever plays looked new and interesting. He had a comprehensive collection of drama, from Aeschylus to Neil Labute, and everything in between. Chekhov, to whom David is sometimes compared, was a particular favourite. 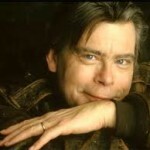 Stephen King was one of David’s favourite contemporary authors. He liked Salem's Lot in particular, and bought each new book in hardcover as soon as it appeared. I read the new one (11/22/63) a couple of months ago, and all the while I kept thinking about how he would have enjoyed it. David also loved mysteries, and there are a lot of those on our shelves, too -- PD James, Peter Robinson, Giles Blunt, Rennie Airth, and many more. David was working on a mystery set in a small Ontario town before he got sick, and having a lot of fun writing it. Near the end, David was having trouble with his eyes, so we started reading books aloud together. We finished Faulkner’s Light In August while riding out chemotherapy side effects…and we were about halfway through Treasure Island when he died. There were, of course, so many other books David loved…the books I love best are the ones that have "David French" on the spine. Yesterday I received a lovely email from Lisa Calloway, through our "Send Us A David Story" link. She's given me permission to reprint it here. Back in 1984 I was studying French in Quebec City. I had French roommates, who always had French TV on, the whole evening long. One evening, miraculously, they were out and I had the TV to myself. I watched Barbara Frum interview David French, and I was interested because he was from Newfoundland, as I am, and he wrote plays set in the province. Just a few weeks later, we had a break from classes at Laval and I headed to Kitchener to visit a cousin. I took the train, and who was my seat mate from Montreal to Toronto, but none other than David French. We chatted most of the trip. I thought it was an amazing coincidence that I had only seen one Barbara Frum interview since I arrived in Quebec some months before, and here was the interviewee, sitting right next to me. It was great to let him know I recognized him. I only ever encountered him once in my life, but due to the coincidence involved, I thought you might like to know. The following is a great story received through the "Send Us Your David Story" page on the site. It's from Matt Walsh, who appeared in the original Tarragon production of Jitters. Thanks so much for sending it, Matt! I first met David French in the late fall of 1978. It was the occasion of my audition for a new play he had written called Jitters to be produced at Tarragon Theatre. Lucky to be asked to audition for the play with help through a connection of mine (my wife, Gay Revell, worked at Tarragon,) I knew Bill Glassco pretty well but I had yet to meet David. To me, a young actor at the time, these two were giants of the theatre, of course, and I remember well my own "jitters" going in to audition. You see my candidacy for a role was a long shot...because the one remaining role to be cast (as I recall) was for Robert Ross the "playwright" character in Jitters and one modeled on David himself. Also I was very young, only 23 and untested in any significant way, I did not even have my Equity Card yet, and the character in the play was supposed to be 32 years old. Really it was a situation where Bill was being gracious and kind seeing as I was a member of the Tarragon family at the time -- if only an extended one at that. I remember vividly reading with Moe Bock, the actor who eventually played the stage manager in Jitters...and from the first words out of my mouth...literally the very first line spoken by the Robert Ross character...David French, standing somewhat pensively way back in the theatre, began laughing. He continued laughing too at just about everything I did... I remember Bill Glassco at one point stopping me and taking a moment to look back at David chuckling away ten or so rows behind him...Bill had a surprised and perplexed expression on his face because it was evident that David liked me in the role a lot. Me, the dark horse, too young for prime time. Bill Glassco eventually cast me in the role of Robert Ross. I am very proud to be able to declare that I inaugurated the role in the premiere production of Jitters at Tarragon a few months later. The playwright character is not the funniest person in the script; in fact the way I played him Robert Ross turned out very much the straight man for the other characters...but David always laughed at me whenever he was in the audience...I could always hear him. I will remember him for the quiet happy glint in his eyes whenever we two chatted together during the run of Jitters...he was not the most talkative man...and I will be forever grateful to him for casting me. Because I am certain that he did the casting for this one time, this one character. I was very saddened to hear of his passing...to know that happy look in his eyes was gone from us forevermore. 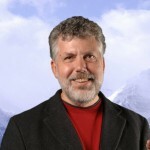 Rest In Peace David French and thank you. We always knew that our friends were extraordinary. But we didn't recognize just how extraordinary until David was diagnosed with cancer. Friends were crucial right from the start. On September 9, 2009, David was alone at the cottage in PEI when he got very sick. Although it was the middle of the night, he called Jim and Rachel Steadman, who live across the road from us in Cable Head. 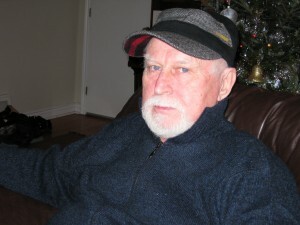 Jimmy was there within five minutes, drove David to the Emergency Room in Charlottetown, and stayed with him while the tests were being done. The diagnosis came quickly, and it was a frightening one: a brain tumour. I'm grateful David had a friend with him when he heard it. The next extraordinary person on the scene was Sam Cioran. 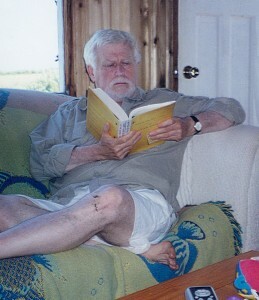 Sam was one of David's dearest friends; he lives down the road from us in Monticello, PEI, in the summers. We often joked about Sam being David's "roadie," because they made trips to theatres in Nova Scotia and Newfoundland to see David's work being done, and had a host of adventures along the way. This was one adventure neither of them wanted to be on...but as ever, Sam was there for David. September 10 was Mary's first full day of Grade One back in Toronto, so in order that I could stay with her, David's former wife Leslie flew to Charlottetown to bring David home. (More about Leslie later. She is the most extraordinary friend of all.) David was afraid of flying and hadn't been on a plane in years, so I was surprised to see him smiling as he came through the sliding doors at Pearson. He'd done a complete about-face during the West-Jet flight and become a fan of air travel. "That was terrific!" he said, as he so often did. And then we were off to St. Mike's Hospital for David's emergency surgery, and everything that followed. In PEI, Sam and his wife Lyn Copeland closed up our cottage. In Toronto, Sheila and Hrant Alianak entertained Mary while David was in hospital. Burgandy Code arrived with a bathrobe and t-shirts and shaving cream and other essentials. As David recuperated from the operation, encouraging phone calls and emails and notes and cards from everywhere kept our spirits up. The Chernoff family drove Mary to school every morning, where her extraordinary teacher and the Grade One class held her hand and her heart. Most welcome parcels arrived from Alberta from my dear friend Marina Endicott and her family and from Mary Lou Chlipala in Michigan. So much more was in store for David during the next fifteen months: a blood clot, radiation and two kinds of chemotherapy, a second operation, infusions of an experimental drug, visits to doctors and naturopaths and oh, those tests... Through it all, friends were there for us in ways we couldn't have imagined. Mary spent many hours with her friend Alexandra, who shares her birthday, and with Sam. She hung out with Marcus, her oldest friend, and his mom. She had sleepovers with Georgia. She went horseback riding at Whinny Acres Ranch with Ariana. She giggled her way through Riverdale Farm with Noa and Rick. Leslie often picked her up from school or took her out on special excursions. Dinners arrived: from Kris Purdy, Leslie Jennings, Hope MacLeod, Lisa Dickie, Nancy White. Our refrigerator was filled several times by Leigh Lamacraft -- and how David loved that soup! One summery evening, Orville and Julianne Endicott showed up on our doorstep with a complete and elegant several-course dinner in a box with a rose in a vase and a candle. During the last few months of David's life, Hrant and Sheila came by every second Friday evening carrying two giant aluminum trays: shepherd's pie, macaroni and cheese, or lasagna. (David's favourites.) The Alianaks would stay and eat one of the dinners with us, and we'd put the other tray in the freezer for another day. The food was great, but the company was even better. We had lots of other good company, too -- Mike Laurie from Ottawa, Brendan Murray, Marlene and Allan Aarons and their entire family: Shawn and Jordana and Riel and Chantelle. Members of David's family came by, including his brothers Don and Bill and Wallace, his sister-in-law Pearl with her partner Harold, and several nieces and nephews. Sam and Lyn, Brian Gray and Darleen Carty, Pat Ogura and Mike Watts, Nir Baraket. My mom Sharon came from Saskatchewan; Brenda Mercer dropped in from David's home town in Newfoundland. Valerie Buhagiar, Michael and Marion Langford, Charlie Northcote, Colleen Loucks... I can't possibly name all of you, but you know who you are, and I thank you. A couple of weeks before David died, Mike Laurie arranged a special weekend visit: he and Chuck Perret from Connecticut arrived in town and had dinner with David on Saturday, followed by a "Boys Only" brunch at the Drake the following day. I should mention that some of these friends made themselves available to help us out whenever we needed it. We leaned heavily on Hrant and Shawn and Allan and Sam, and on Ian and Sarah. Friends who couldn't visit called or wrote -- David's buddy from high school, Alex Melachenko, phoned us once a week for many months to check in and to send his love. Rachelle Belair and the Charlottetown Farmers' Market gang sent funny cards. Gloria Perret called from Connecticut. Susan Stackhouse, Lenore Zann, Jane Buss, and Margaret Ross called from Nova Scotia, Bernie Bomers from BC. Judy Cameron from the Rock, my brother Fraser and his wife Shannon from Saskatchewan, Jean and Terry from England, Leanne and Philip Nearson from Bermuda, Shena Wilson from Paris. George Knox and Shelagh Kareda from PEI. Briony Glassco, Sue Miner and Mark Brownell, Ronnie Abrams, Ralph Osborne, Colleen Murphy, Mary Ashton-Toth... And many other friendly voices that helped get us through the days. Another important group of friends were David's peeps at Soulpepper, who helped to make Jitters such a terrific experience. 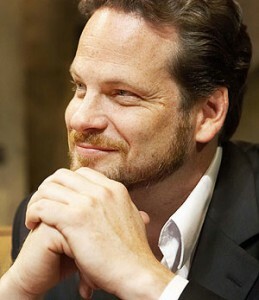 David was able to go to almost every rehearsal of the play in June 2010, and it kept him going; I know it did. He loved seeing his work come to life, and it was wonderful that the last production he was involved with was such a brilliant one. What better play for David to spend time with in his last months than hilarious Jitters, based on his own life in the theatre? And of course, a few months later, David's friend and director Ted Dykstra put together an incredible tribute for the memorial service, with artists and performers David loved from across the country. Thank you, Ted. It couldn't have been done without you, and it was amazing. Much love to Hrant Alianak and Albert Schultz who gave the eulogies, Allan Aarons and Pat Ogura who did the readings, and to performers Ken Welsh, Eric Peterson, Brendan Murray, Oliver Dennis, Jeff Lillico, Nicole Underhay, Susan Stackhouse, Jane Spidell, Dennis French, Melissa O'Neill, Mike Ross, and Sarah Wilson. Also to Arwen Macdonnell for stage managing it all. What a beautiful send-off! I could almost hear David applauding... Malcolm Sinclair, minister at the Metropolitan United Church, delivered a perfect introduction to the proceedings, and Orville Endicott said the beautiful and familiar prayers that end the service. Speaking of the service, I need to mention the moms from school who put together so many of the other aspects of that event -- slide show, refreshments, programmes, etc. That would be Su Laine Varkey, Sarah Luke, Leigh Lamacraft, and Marion Chow (along with her husband Mark Schmit.) Writer friends Dave Carley, Riel Aarons, Paul Ledoux and Florence Gibson were our ushers and Sheila, the Aarons sisters and Valerie B. sat at the guest books. I promised to say more about Leslie, and perhaps now is the time. I can think of no other person in the world as generous...On our return from PEI last August, it became evident that David was no longer able to manage the stairs at our apartment. Leslie, unbelievably kindly, invited us to live at her place, which is wheelchair accessible. So there she was, with all of us camped -- for over three months -- in her formerly tidy condo. (Not only David, Mary and me, but also Wooligan the cat, who is a bit of a character.) Even though she was working full time, Leslie helped when David was having sleepless nights, she took over his care entirely whenever I needed to spend a little time with Mary, she made us many healthy suppers and hosted two parties: a birthday party for David and a "pie party," just for fun. I don't know what we would have done or what we would do now without Leslie. She is more than friend -- she's family. The day before David died, Leslie's extraordinary sister Debra Stuart flew in all the way from Kelowna to help us out. Leslie and Mary and I wanted so much to keep David home with us rather than have him go to a palliative care unit, but Debra could hear by talking to us on the phone that we were finding the medical side of things daunting. Debra is a nurse. Her warm, loving and knowledgeable presence during those last two days made a huge difference to all of us. Maybe a few words about Saturday, December 4th... It's true that we leave this world alone. But if ever anyone left the world surrounded by love and affection, David did. It just happened that on the last day of his life, some of the friends who had been dearest to him stopped by. He was deep into a morphine sleep at that point, but he surely heard their farewells and welcomed their last embraces. The end came for David just before midnight. It was gentle; his breathing just got slower and slower...and then he was gone. But I know that wherever David is, he's saving places for all of his friends. Send Us Your David Story! A few days before David's memorial, our friend Debra Stuart found out that Mary has been taking riding lessons. Deb then told Mary a story about a time, several years ago, when she'd talked David into going for a horseback ride. David got on his mount reluctantly and had only been in the saddle for a few moments when the horse -- as horses do -- snorted. "He growled at me!" David said, and dismounted in a hurry. Mary and Leslie and I found the story pretty funny. It got me thinking that there might be a way for David's friends and acquaintances and fans to share their stories of him. It would be great for all of us to hear them, and it would be really wonderful for Mary to have a collection of stories about her dad that she can treasure. I first thought of handing out pencils and paper at the memorial, but my friend Sally pointed out that people would be too distracted, and that they'd come up with better stories if they'd had a chance to reflect for a bit. Plus we knew that not everyone would be able to come to the service. So! This new website has been designed with a special page that will allow people to send their stories or thoughts or whatever you'd like to share. You can check a box that will keep it private -- just for Mary and me to see -- or you can let us post it here on the site for others to read. It could be a story about David himself, an anecdote about working on a production of one of his plays, or a few thoughts about how his work affected your life. Or anything at all, really. We'd just love to hear from people who have something to say about David or his work. To send us a story -- and I hope you will -- just click on "Submit A Story About David". You'll find instructions on the page. Can't wait to see what you have to say.